To change settings of the Remote Desktop in Windows-7, 8 or 8.1, please open the "System Properties" tab "Remote"
Start the "Run command" in Windows-7 with keys [Win-Logo]+[R]. and enter in the Edit-Box control.exe sysdm.cpl,,5 (see Image-1) and press ENTER. Image-1: Run command to open the Remote Desktop settings in Windows-7! HOT-TIP:... alternative to the standard Windows Run-Dialog. (Image-2) change settings for Remote Desktop in Windows-7! To allow another computer to connect to your computer using Remote Desktop Connection, you must allow the connection by choosing the appropriate setting on the Remote tab in System Properties. Windows-7 - FAQ-49: How to change settings for Remote Desktop in Windows-7, 8 and 8.1? I cant find remote desktop settings in advanced system settings? Cant see remote connections settings in remote desktop tab win 8.1? How to change display settings for remote connection windows 8? How to change font size in remote desktop for windows 7? How do you change display settings on a remote session Win7? Remote desktop settings not located in remote settings? How to reset remote desktop settings in windows 8? Windows 8.1 some display settings can't be changed from a remote session? 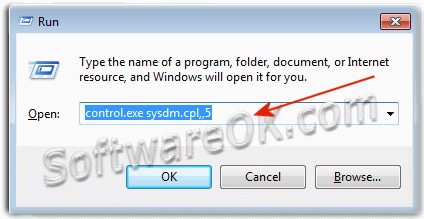 How to remote control windows 8.1 from windows 7? Open remote desktop connection settings and to change the desktop background in windows 8.1? How to change font size in remote desktop connection using Windows 8.1? How to allow display setting change in rdp on windows 7? How to set activesheet.paste from text to image for windows 7? Remote in to my desktop and changed my view to windows 7 power saving change back? Fazer o reset dos settings do windows remote desktop? Remote setting win 7 ultimate? Change rdp settings in windows 7? How to reset win7 remote setting to default? Windows 7 change remote desktop settings? Change remote settigs on windows 7 home? Windows 7 rdp font changes? How do i check remote desk top settings in windows 7? Remote desktop properties windows 7? System properties remote desktop missing windows 7 ultimate? Windows 7 remote desktop connection settings? How to change remote desktop windows 8? How to changedesktops setting in windows? Option to set or reset remote access? To reset desktop in windows7? Change remote desktop settings windows 7? Windows 7 change remote desktop settings how? How to reset remote desktop settings? How to view properties of rdp? Remotely change RDP settings windows 8.1? How to access system settings remotely? Change backgrounmd on remote pc windows 7? Windows 7 reset remote desktop? How to change remote access on Windows 8? System properties CPL hack win7 home remote? 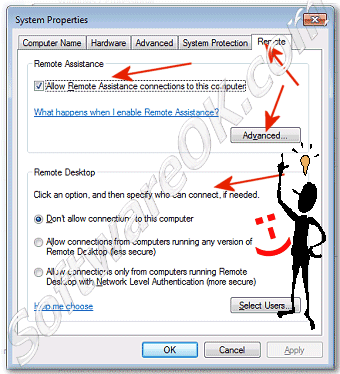 How to change setting of remote desktop in win 7? Default rdp profile settings windows 8.1? Modify addressing properties windows 7 remotely? Remote desktop settings windows 8.1? Change font size remote desktop windows 8? My remote desktop in windows 8.1 outlook font is? Look at remote desktop preferences? Windows 7 starter activate rdp? Remote desktop options missing windows 7? Changes in remote desktop in windows 8? How to change remote desktop compatibilty settings? How to change rdp settings? How to change remote desktop settings in windows 7? Change rdp 7 properties on w7? How to reset remote settings on windows 7? How to change remote desktop settings? Modify server 2012 rdp session properties? Changing Remote Desktop Session Host windows 8.1?